"You Need Bags Of Ads"
Affiliate Links Will Result In More Sales, Signups & Leads!" people viewing your ads and links. Massive Exposure! Full page views, banners & text links. View other members ads to earn views. Use both 468x60 & 125x125 banners. Ready to get a bag full of ads to send to your websites? Click the join button to get started right now! 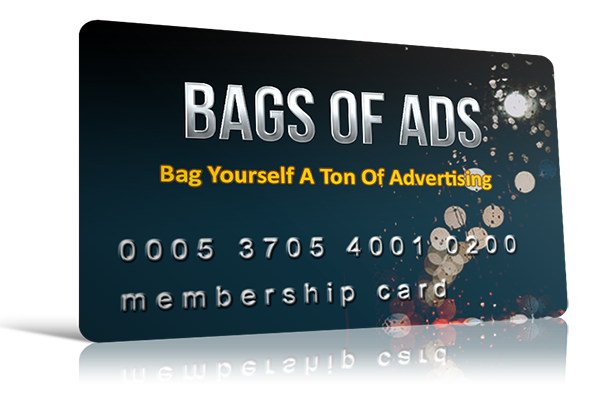 Bags Of Ads is an advertising program only. We do not have an affiliate program and there is no way to earn money here. Bitcoin - Free eBook Attention Grabbers Are Here!